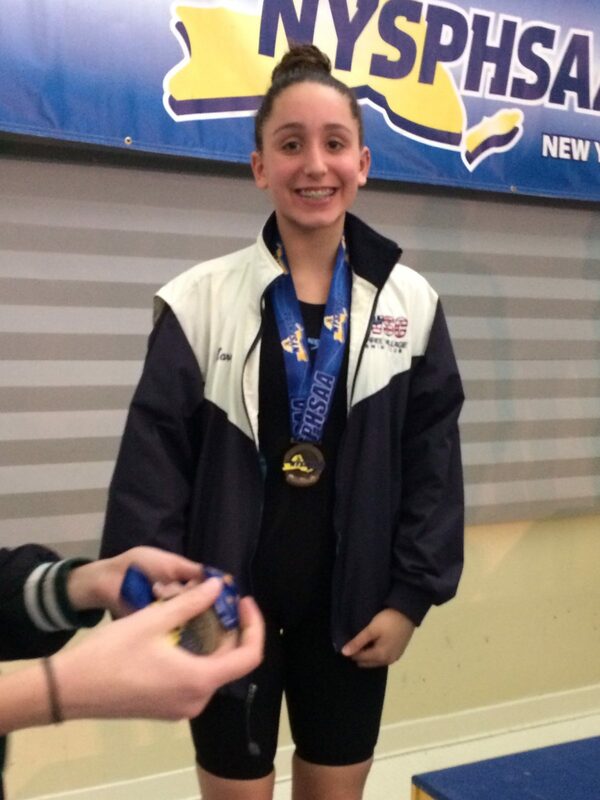 An eighth grade student of North Country Road Middle School recently qualified to compete in the New York State Public High School Athletic Association’s (NYSPHSAA) 2016 Swim Championship. Angelina Harris recently swam at Ithaca College, claiming 7th place in the 100 yard breast stroke and 11th in the 200 yard individual medley. The NYSPHSAA is a non-profit, voluntary, educational service organization composed of public, parochial, and private schools dedicated to providing equitable and safe competition for the students of its member schools.